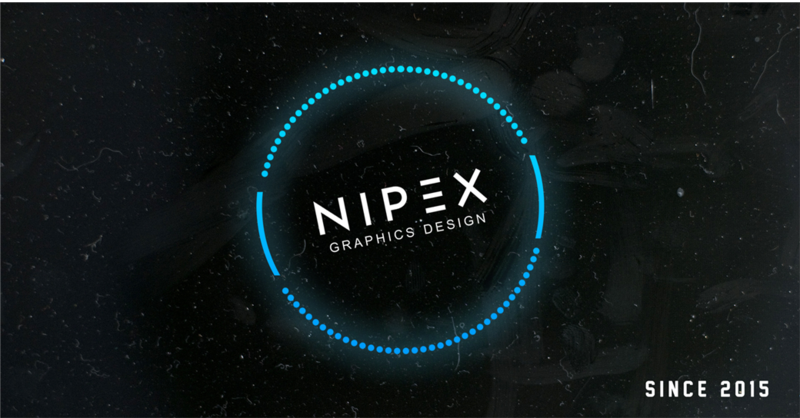 NIPEX Graphics Design - Since 2015. Open for requests - Read the thread first!!! I started this project since 2015. I was already experimenting earlier by learning the basics of Photoshop. In 2015 I began to gain more knowledge on how every tool worked basically. My goal is to become a professional freelancer graphics designer. Sounds nice, but why telling that here? I want to make my name known. I have spent really a lot of time (years) on these forums and some people know me already for playing the games and being within the forum discussions. Now that those times are over I just want to focus myself on Graphics ONLY. I don't play much PC games anymore because it takes away too much time. I am open for any requests and because I'm still learning I won't take money. So everything I do for now is 100% FREE. Below you can see more examples of what I created. During all this time I have learned on how to take requests as in the past it was messy and I never responded to anyone. I'm happy I can finally deliver a faster and better service on that matter. So if you guys want any work, Clan, Personal, Forum related or any other stuff you can just PM me here on the forums or add me on Steam. My Steamlink is on my profile. The reason I post this in off topic is because I will make more than just stuff for this forum and for the game itself. If for example you run a small company yourself you can also ask things. Re: NIPEX Graphics Design - Since 2015. Open for requests - Read the thread first!!! Welcome back and good luck! ya don't need the good luck, already doing great. Good Luck & Welcome Back! Thanks. If someone needs something just PM me and Ill get to it. If you want something in an other language, my basic knowledge is Dutch, Japanese English and a bit of Portuguese. If you have an other language you want the work in please do give me the translation of the text beforehand. How do I say reform 1erFusGren in spanish? Well it's not going to happen. So my iMac 2017 finally arrived. Got the best parts included that you can actually get in a Mac. So future quality should be much better than before. I'm open to any requests. So if you guys need something new, you can always ask. I have mainly quit gaming now so this opens an opportunity to actually keep going with the graphics stuff. My Steam acc is temporary not available due that I don't have Steam on this Mac. So for contacting me either do it here via a PM or on FSE. As I'm now accepting more requests again, I have merged this thread into the community section one. It's easier to manage there.